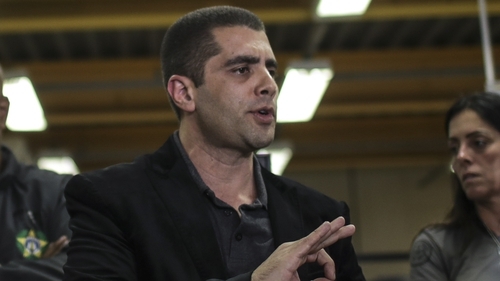 A plastic surgeon known as "Dr Bumbum" on social media because of his bottom-enhancement operations was arrested yesterday in Rio de Janeiro, four days after one of his patients died, police said. Police in Rio de Janeiro said on their website that they had been searching for Denis Furtado since Sunday when his patient Lilian Calixto, a 46-year-old bank manager, died at a hospital where Mr Furtado had taken her after a procedure. Local media reported that the hospital said Ms Calixto arrived with tachycardia, an abnormally fast heart rate, after having silicone injected into each buttock. Police said Mr Furtado and his mother, who is also a doctor, were arrested in an office in a business center in the Barra de Tijuca beachside neighborhood of Rio in connection with the woman's death. It was not clear if they had been charged with any crime. Mr Furtado's lawyer, Naiara Baldanza, said at a news conference in Brasilia on Wednesday that her client was innocent and had not turned himself in to police because he was in a panic. In a video posted on social media after his arrest yesterday, Mr Furtado called the woman's death a "fatal accident," saying he had performed 9,000 such procedures and that they were legal in Brazil. Mr Furtado's plastic surgery work turned him into a celebrity. He had a massive following on social media, including 645,000 followers on Instagram, where he posted photos of before and after operations.